Cozy and rustic bedroom with many seductive poses. 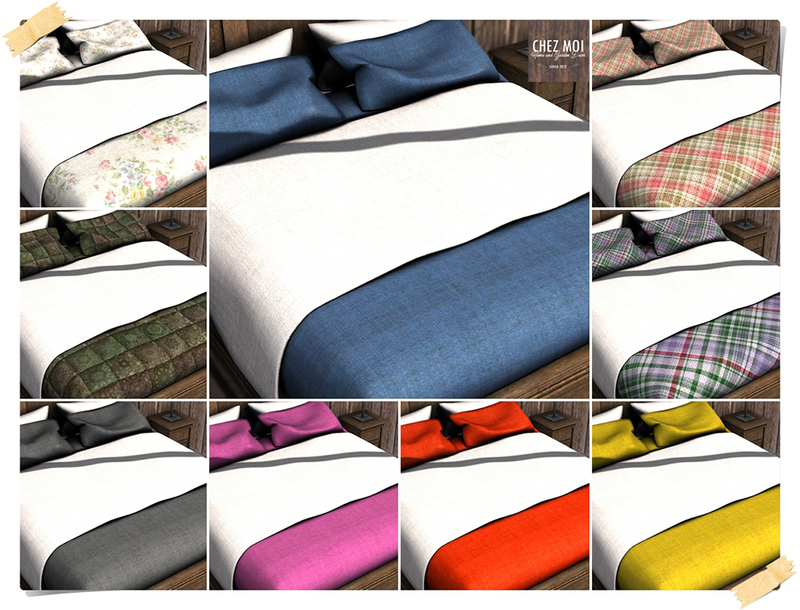 Texture change options – touch the blanket to display the texture menu. 9 options to choose. 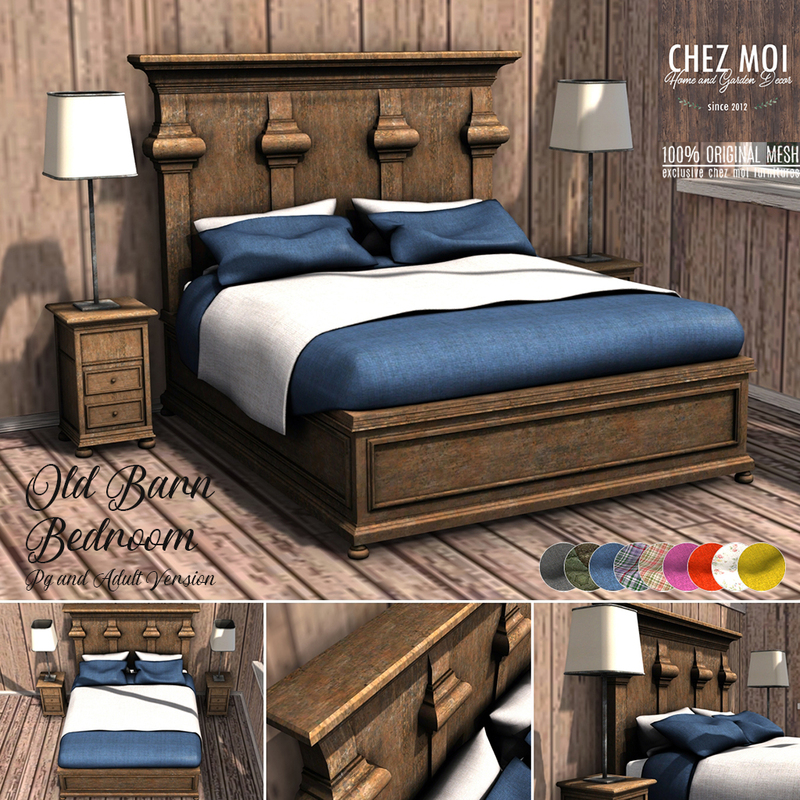 This release is available at CHEZ MOI MARKETPLACE, or visit our IN-WORLD STORE for a closer look.